On September 23rd we got haircuts! 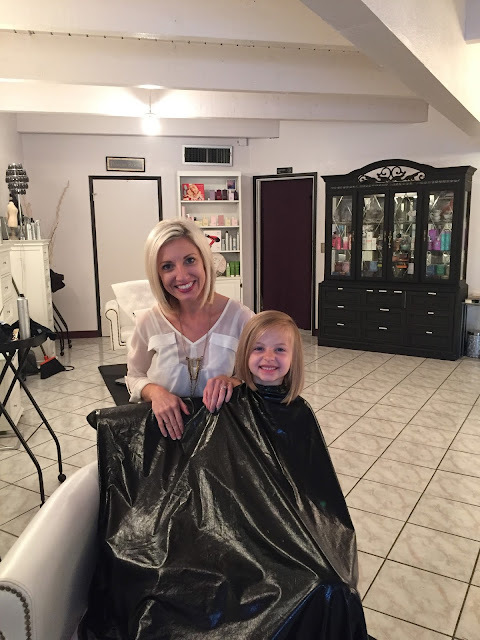 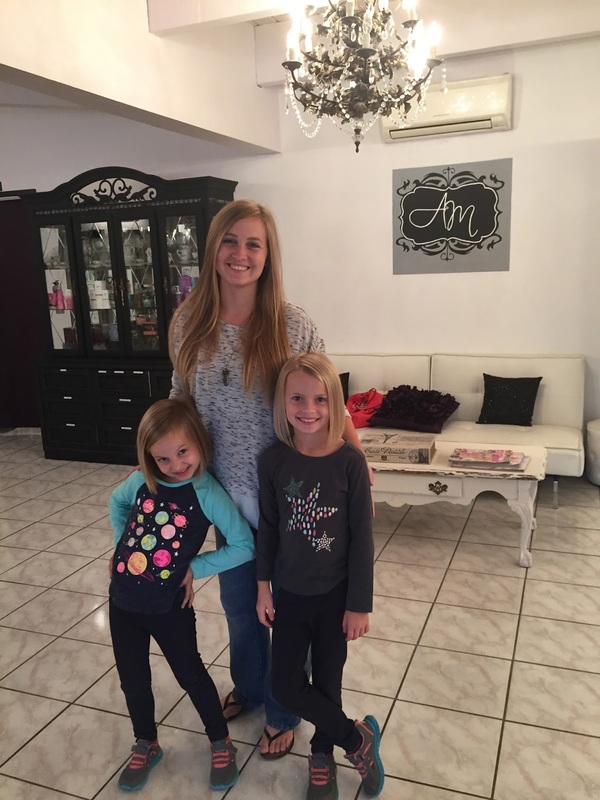 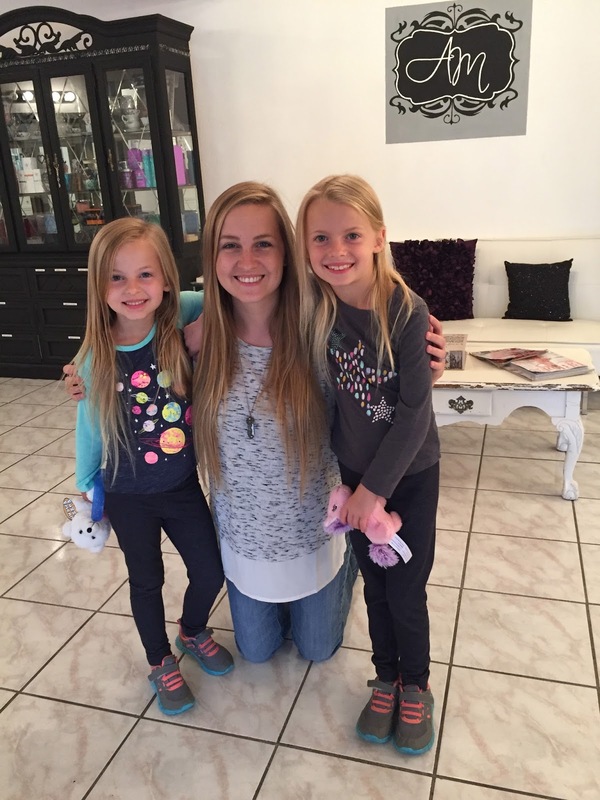 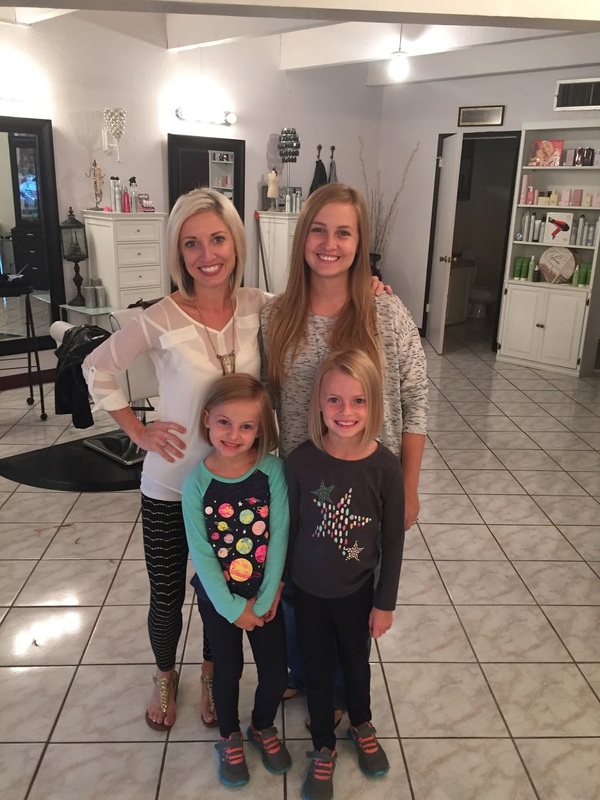 It was Claire's first haircut and Kenley's second haircut. 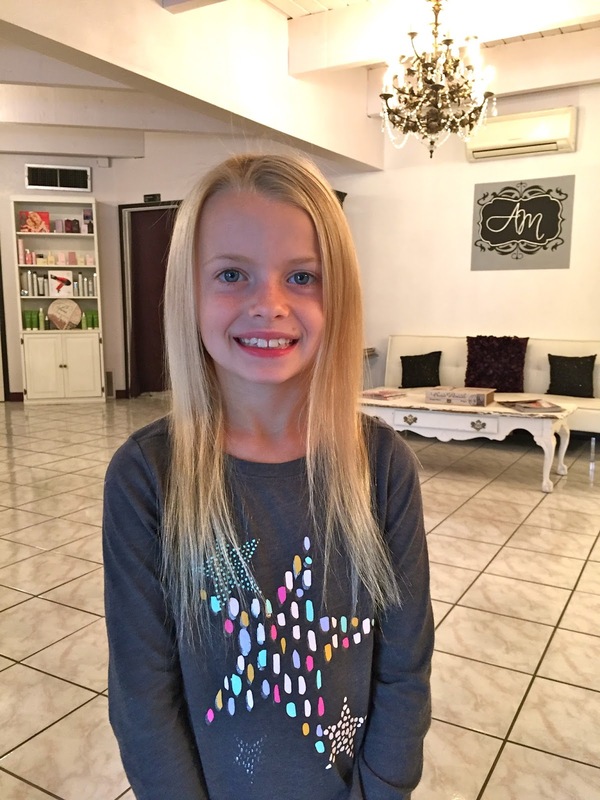 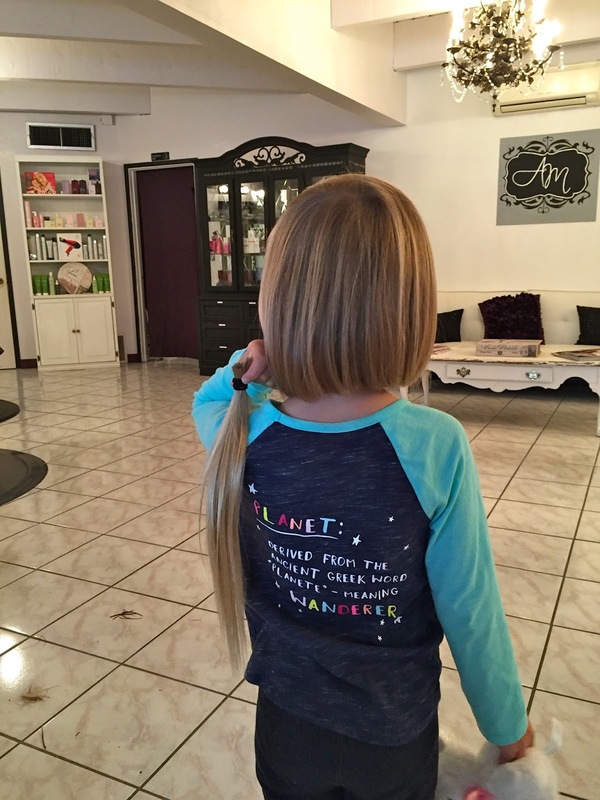 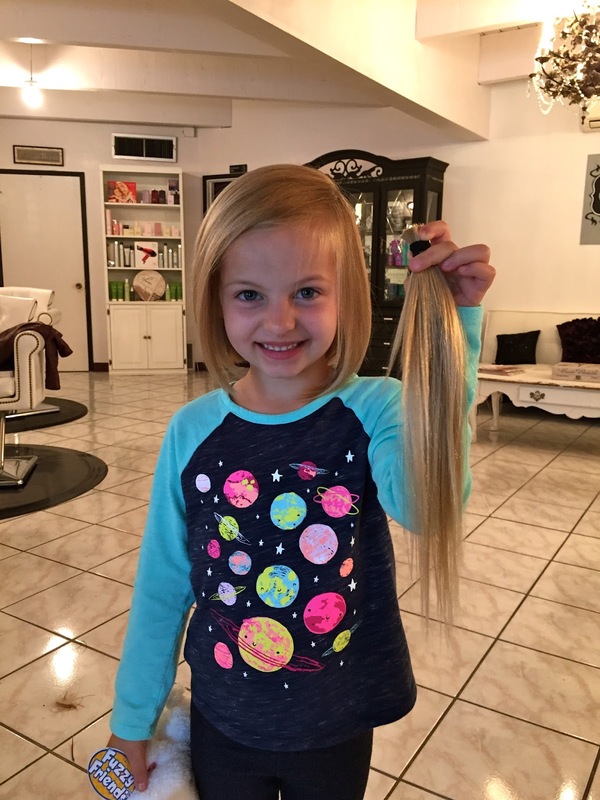 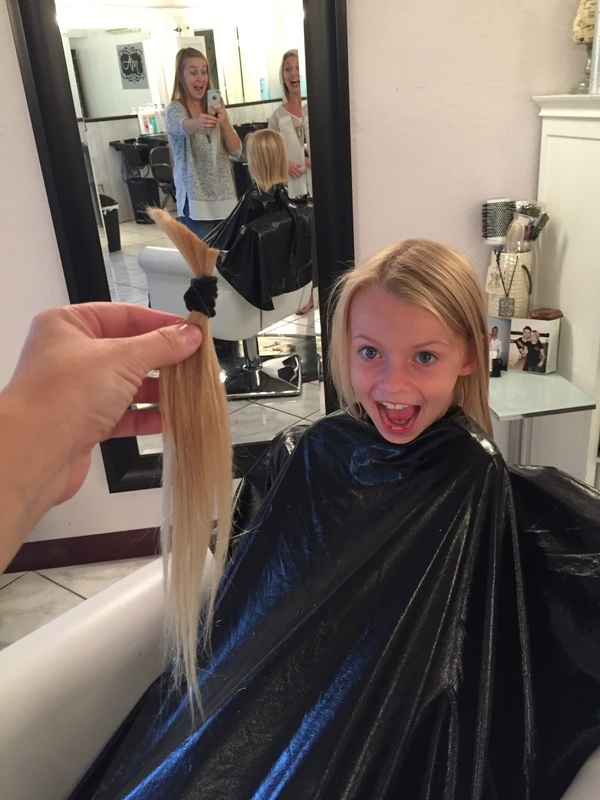 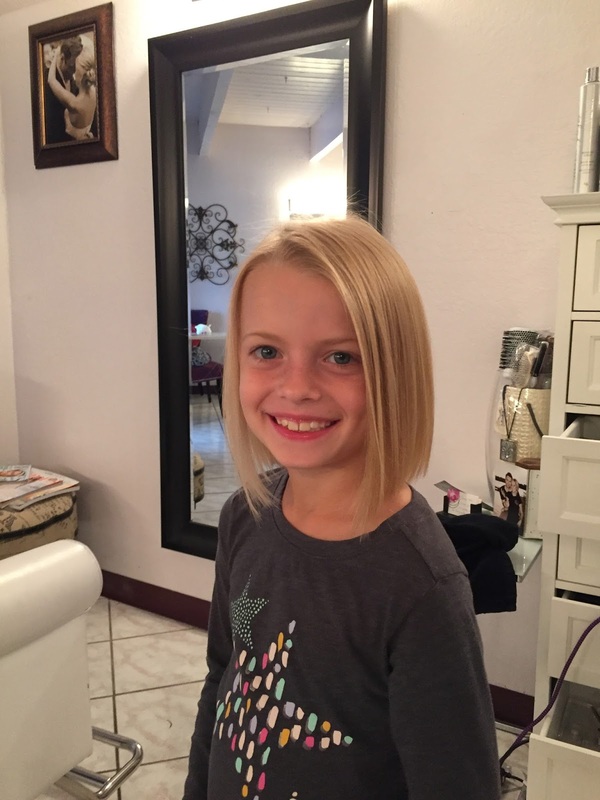 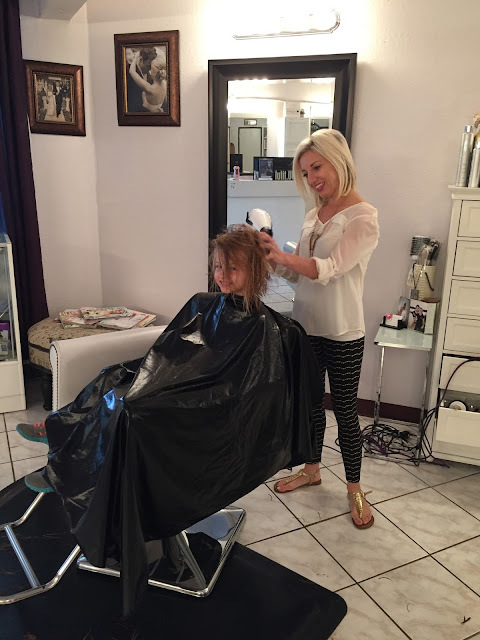 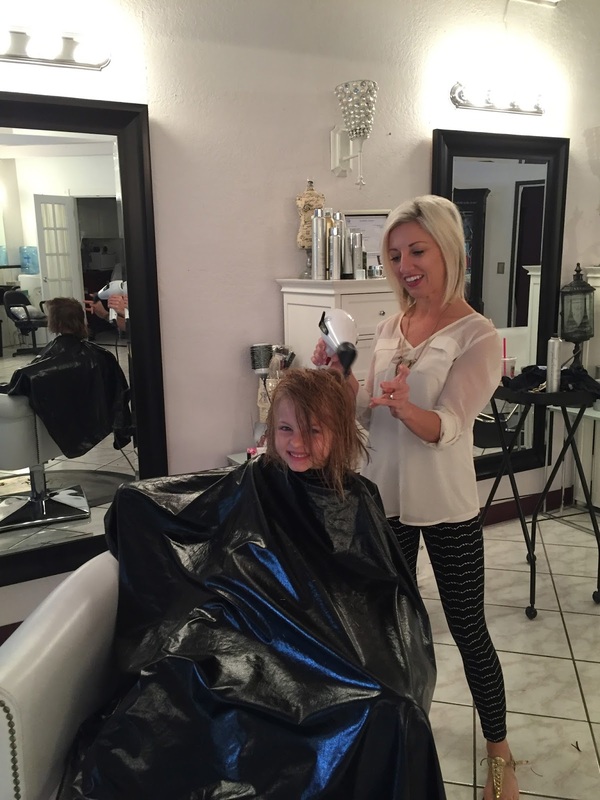 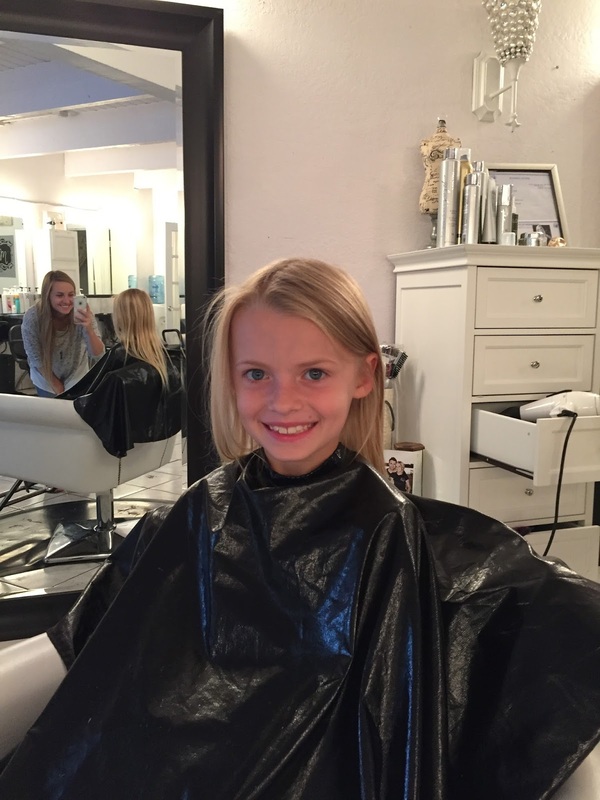 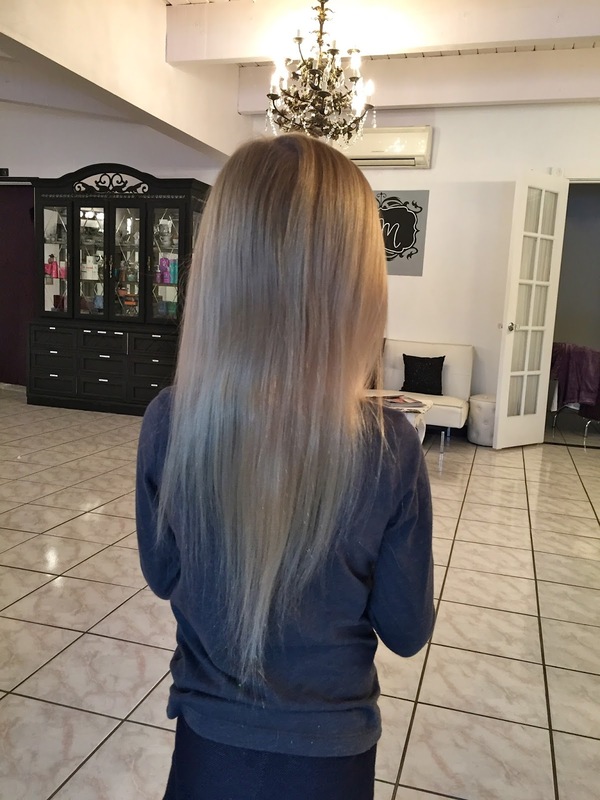 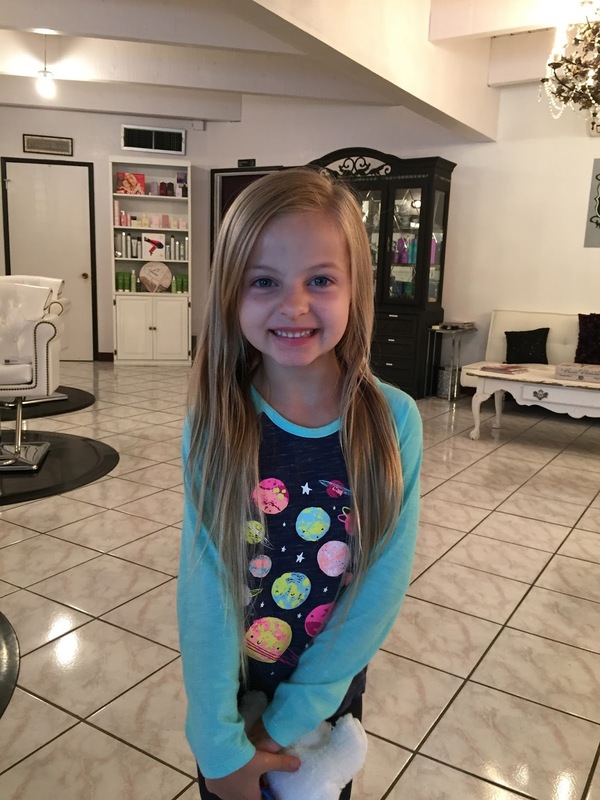 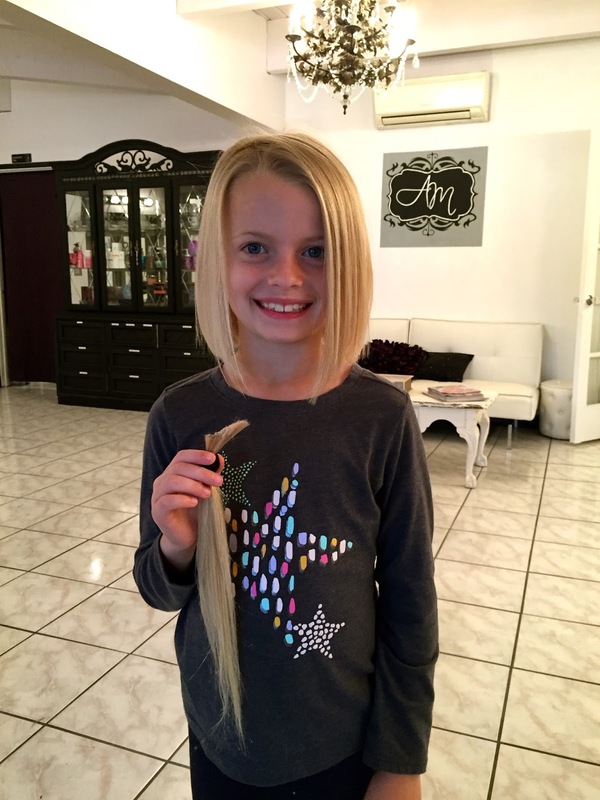 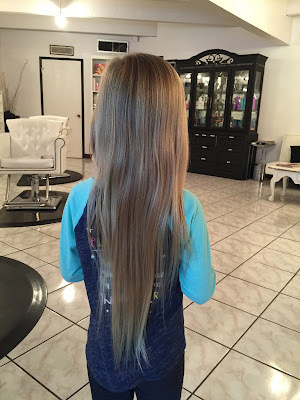 I LOVED Claire's long flowing hair but it was time for a cut to help it be more manageable. 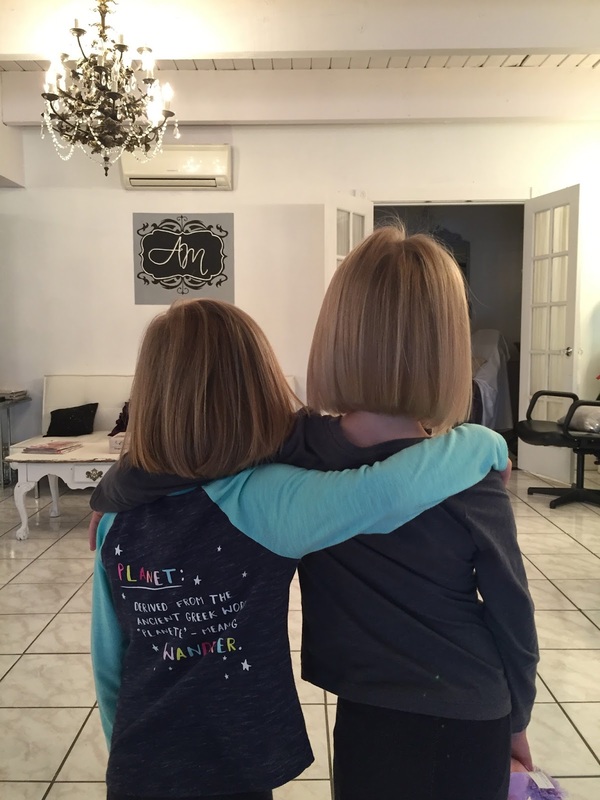 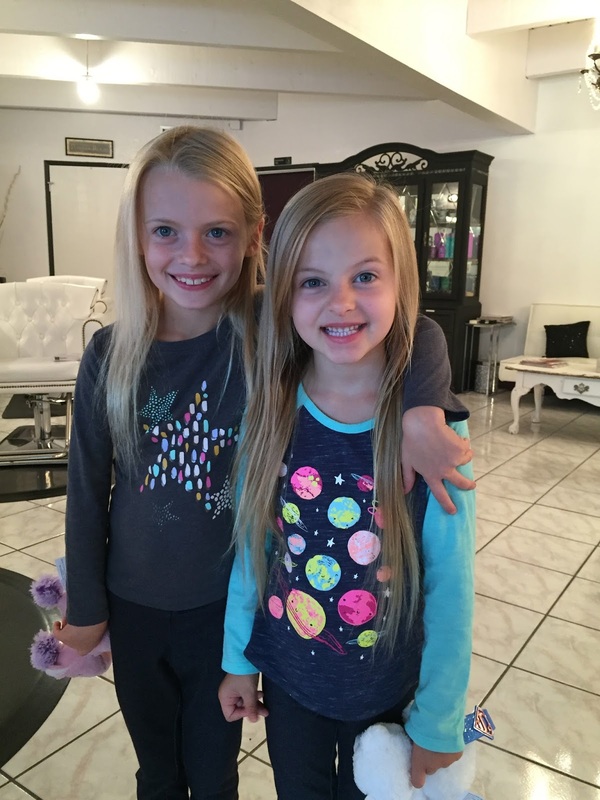 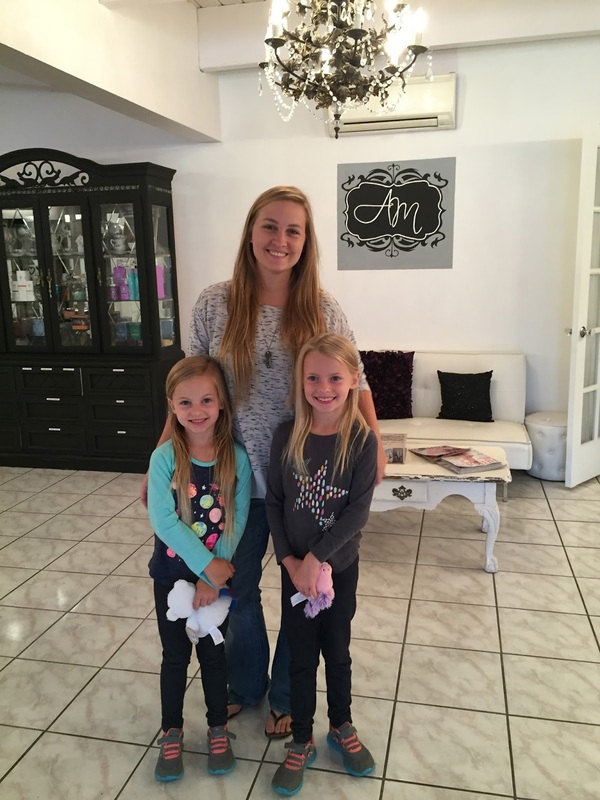 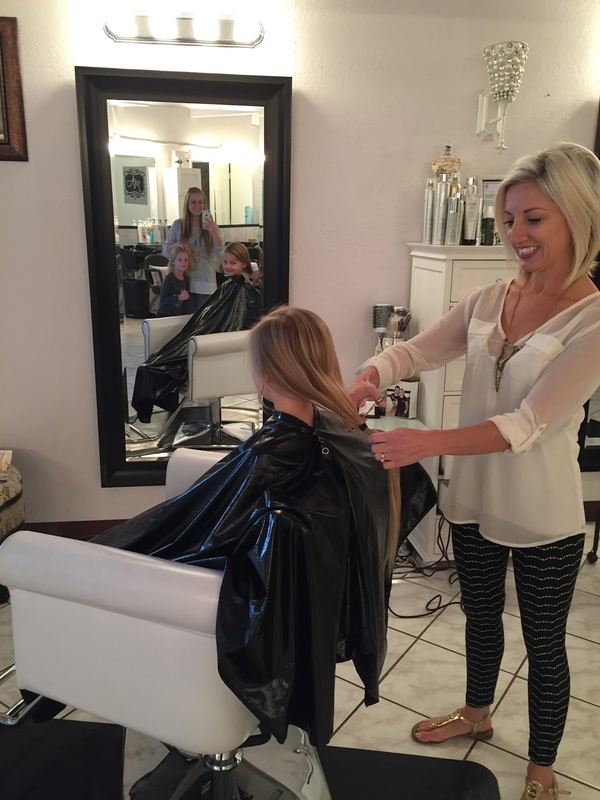 I'm so glad that we could get an appointment to have Angela cut our hair since she is moving to California soon! She did my hair for our wedding and has been cutting my hair for the last 11 years! I love their hair in bob form! Too cute for word!